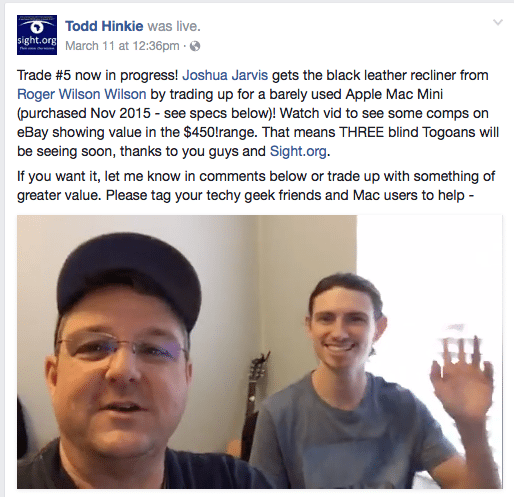 One of our amazing supporters, Todd Hinkie, had a fun idea to start out with a SPORK and trade up until he got something worth $150. 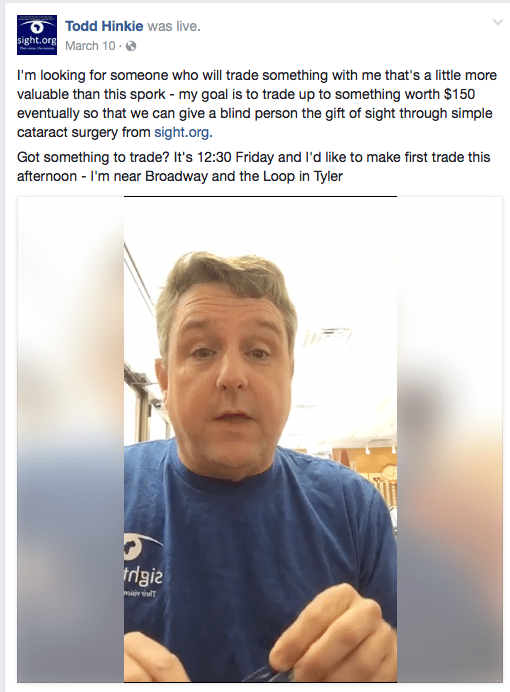 His goal was to give sight to one person with Sight.org. 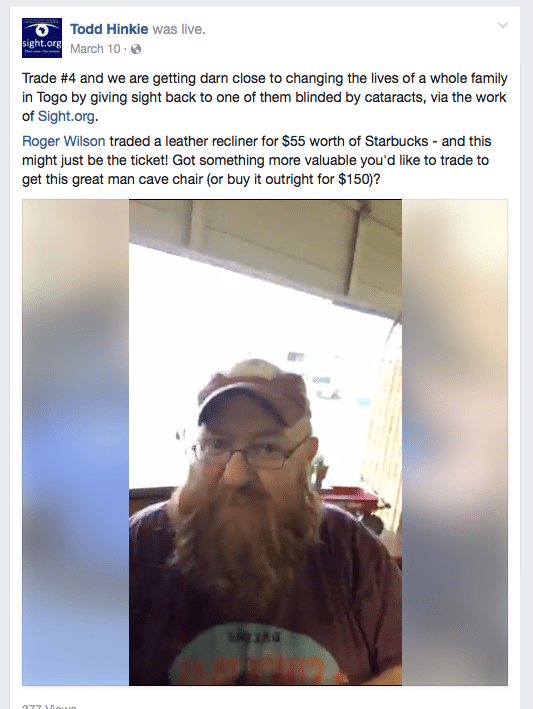 He spent a weekend using Facebook live to get people involved, and in three days, traded up to something worth $450! That means, he was able to give sight to three people! You can follow his journey below in photos. 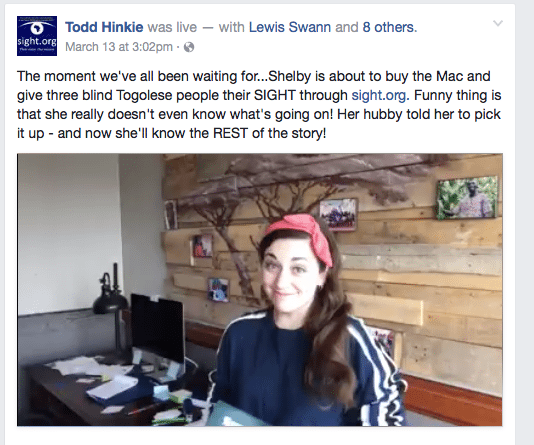 If you want to watch the videos, go to our Sight.org Facebook page and watch! Have you been wondering about Jeanaway? Earlier this year, we told you a story about Jeanaway. God has done some amazing things in his life this year, so we wanted to give you an update on him! 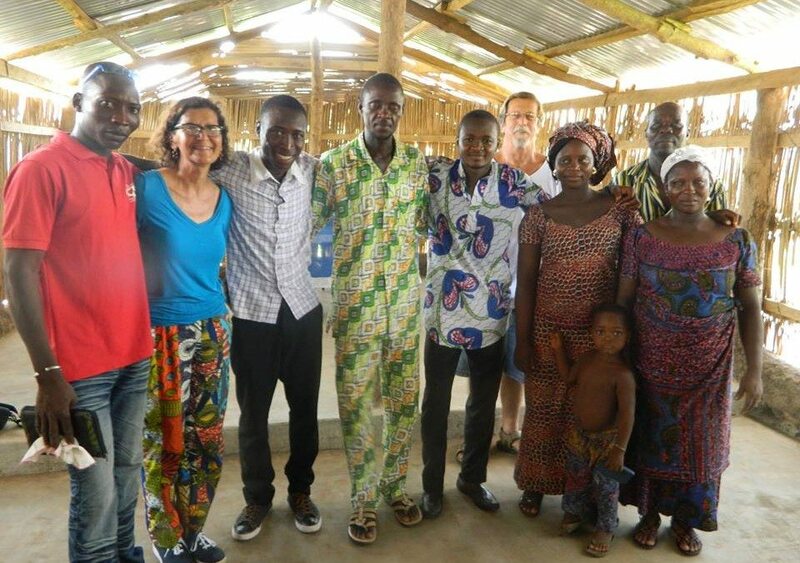 When Lewis was in Togo in November, he sat down with Jeanaway and got to hear more about what God has been doing. You are going to love this video! God has moved in us each time we have watched it. We pray that he moves in your heart as well. The first time I saw Ishaka, all I noticed was his huge smile. No matter what, he is always smiling. That smile is contagious too! 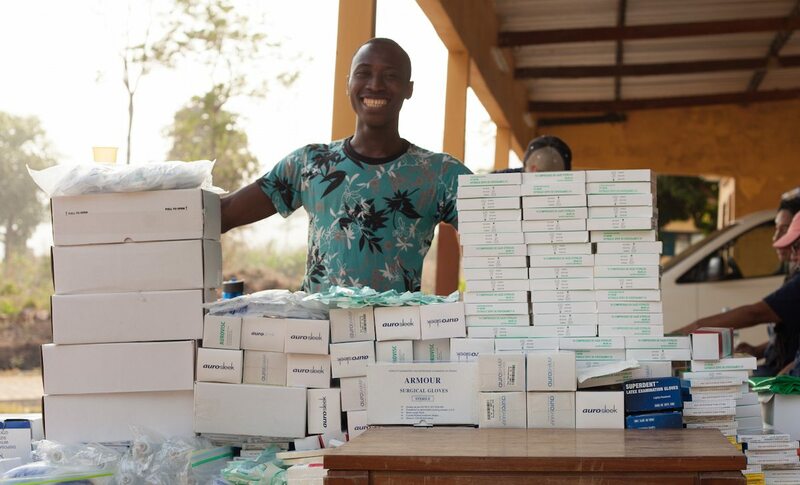 Ishaka is the king of our sterilization team in Togo. 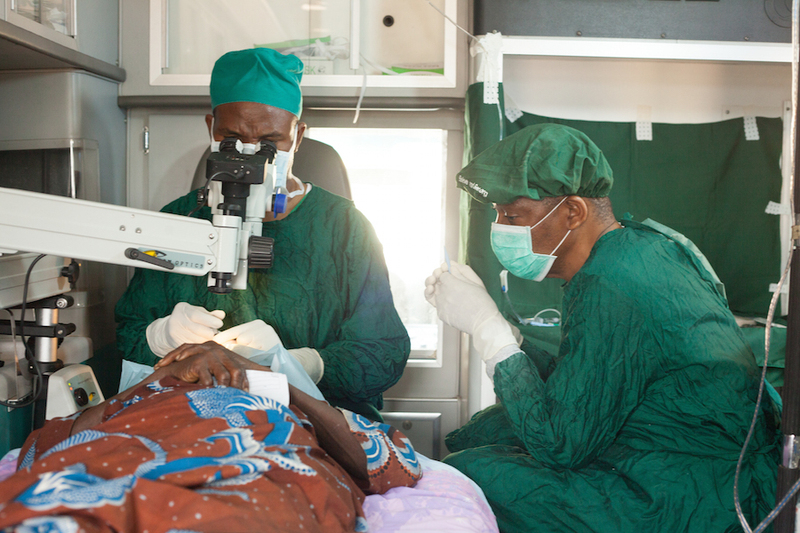 He and Izaie, who he trained, work tirelessly outside the ambulance during eye surgeries. Despite Ishaka’s constant smile, his life has not been so easy. Ishaka was born in Sierra Leone. He was only seven years old during their civil war. He and his family had to flee from the soldiers. He fled with his mother and carried his one-year-old brother on his back. As they were running, they came to a place where they had to decide between two directions. His mother wanted to go one way but Ishaka, even at the age of seven, felt very strongly that they should go the other way. He told his mother that if she chose to go her way, she would have to leave him. She chose Ishaka’s way, and they were safe. They found out later that if they would have gone his mother’s way, they would have been captured. Ishaka would have been killed or turned into a child soldier. Ishaka later was orphaned and went to live with his cousins. His entire family was Muslim, so that is all he knew to believe. 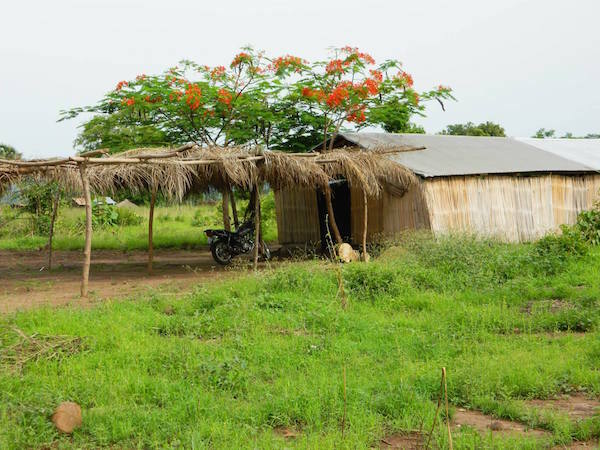 A few years ago, he traveled to Togo to work for a different non-profit. 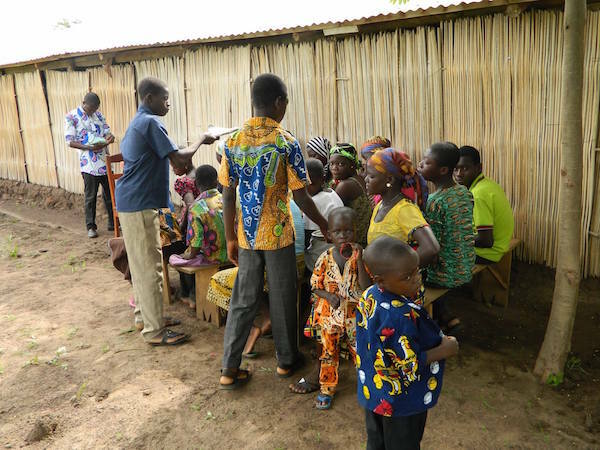 However, those plans fell through because of the Ebola outbreak. 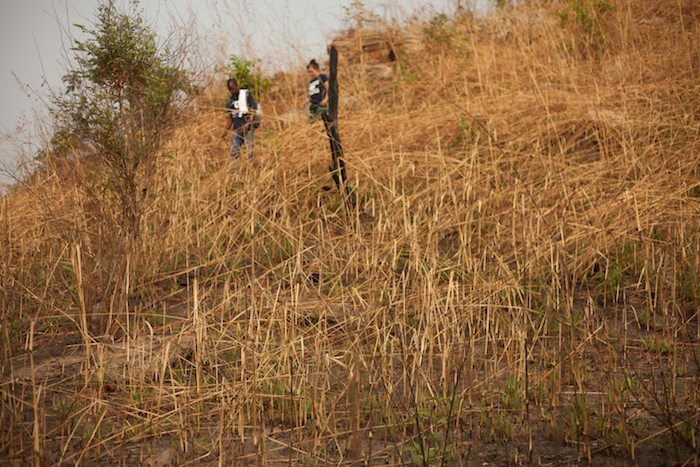 He and four other young men were all stranded and didn’t know what to do. A mutual friend connected them to Laurie, our Medical Director. Laurie had been praying for new workers and each one of them filled the empty spaces in the ministry perfectly. When he came to work with Sight.org, he heard about Jesus and fell in love with Him. He devours the Word of God and often can be seen reading it for hours. He now encourages everyone around him with words of truth that he has read in his Bible. 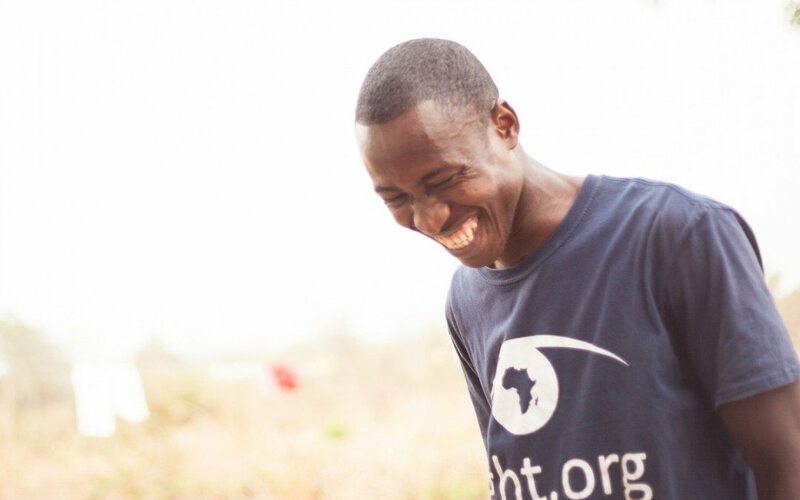 Ishaka takes a lot of pride in his work with Sight.org. Wake up at 5 am after sleeping in a tent. Prepare the ambulance and sterilization space. 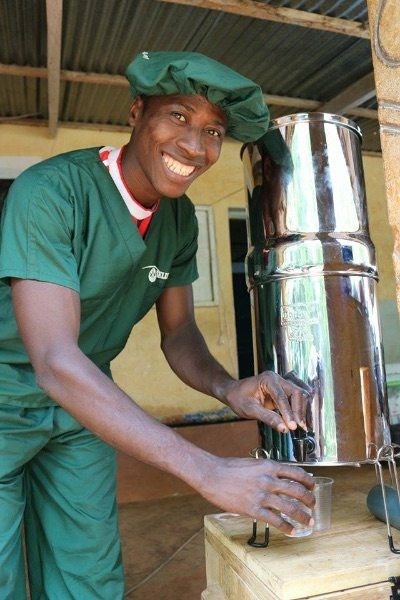 Get water from the local water pump and put it through the water purification tank. Start surgeries around 8 am. Observe surgery through side window of ambulance. Refuse to eat until all surgeries are done. Finish surgeries between 6-8 pm. Hand wash team members’ scrubs. Prepare more water for purification. Go to bed between 11-1 am. As I observed his daily routine during surgeries, I was overwhelmed by his constant smile. He was so happy to be doing this work. He loved it and was happy to work so hard! We could hear his laugh throughout the day as he sterilized instruments. At one point, I snuck back to observe their process. 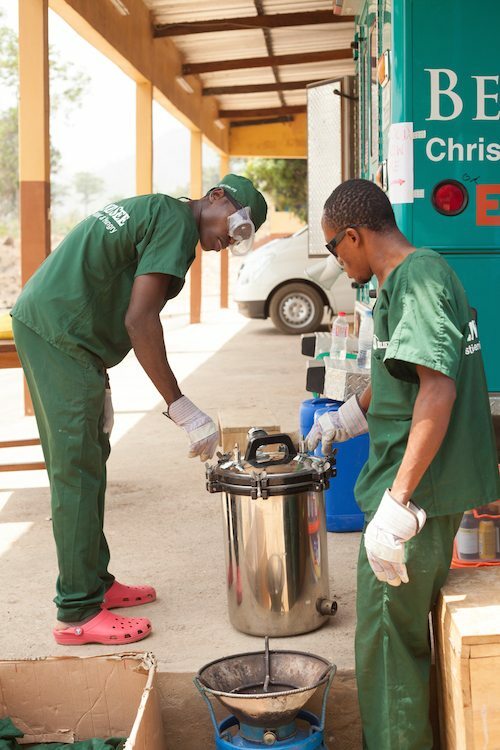 Ishaka and Izaie use a Berkey water filter and a pressure cooker for sterilization. They have it down to a perfect science, and they are so proud of their work! I was also overwhelmed by Ishaka’s hunger for knowledge. He observes every surgery, not because he has to, but because he wants to learn all that he can. He would love to be a doctor one day. He also longs to take the SAT so that he can further his education. We took him a SAT training book on the last trip. After a few days of looking through it, he asked me to send him a grammar book. When he received it, he was ecstatic. Ishaka is also extremely athletic. If he finds any down time, he rides for miles on his bicycle, plays soccer with the kids on the farm, or runs up and down mountains. 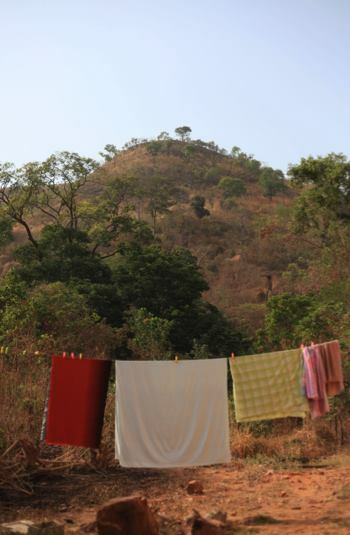 Our surgery location in Amlame is at the foot of a small mountain. 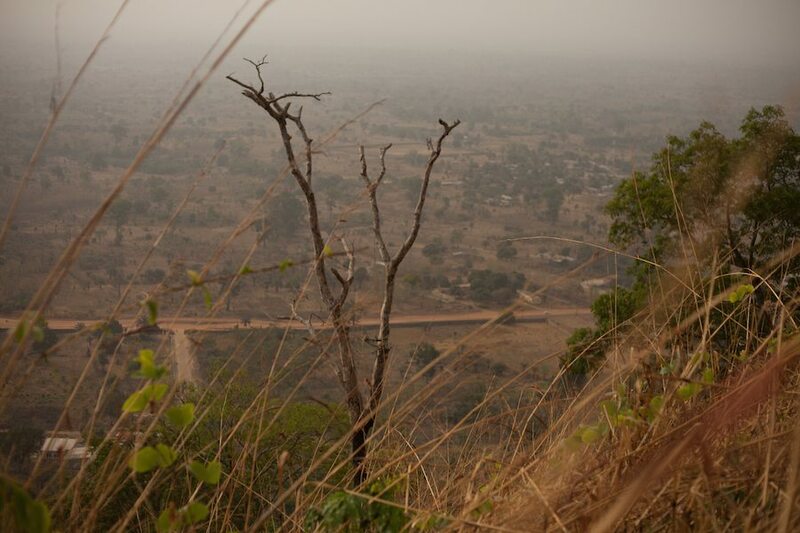 The first day we were there, Ishaka told me that he likes to climb that mountain after all the surgeries are done. I love a good adventure, so I told him that I wanted to climb it with him. The night before we were supposed to climb it, he told me to get up at 5 am to go. If you know me, you know that I am not a morning person, but I couldn’t pass this adventure up. I got up at 5 and realized that Ishaka had already run up and down the mountain once because he didn’t think I was actually going to do it. When he got back down, I told him he had to take me back up. It only took him fifteen minutes to climb it, so I figured I had plenty of time before we left that day. Two other team members took the trek with me. At first it was easy, but it quickly became really steep. We huffed and puffed our way up the mountain, and it took us a full hour to get up that mountain! It was well worth it though. We got to see the beauty of the entire village of Amlame. As we went back down, Ishaka led us down an extremely steep path. The other team members and I decided to try to take a more winding path that wouldn’t be so steep. We quickly got stuck. We immediately heard Ishaka laughing at us from below. He rescued us and took us on the right path. Our team is so thankful for Ishaka. I could tell you ten more stories about his hard work, encouragement, and love for Jesus, but those will have to wait. 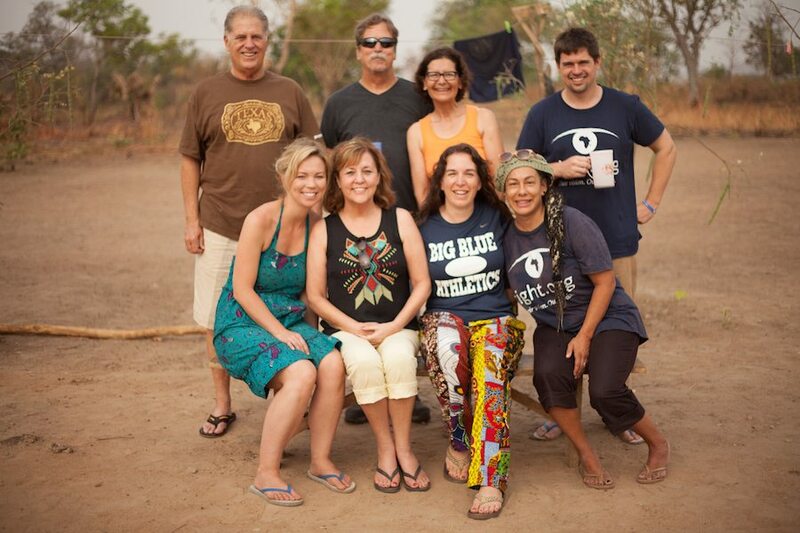 We have been in beautiful, sunny, HOT Togo, Africa for 3 months now. We have come a long way in many aspects of the word. We are breaking into a new language and can communicate some but we have a long way to go. 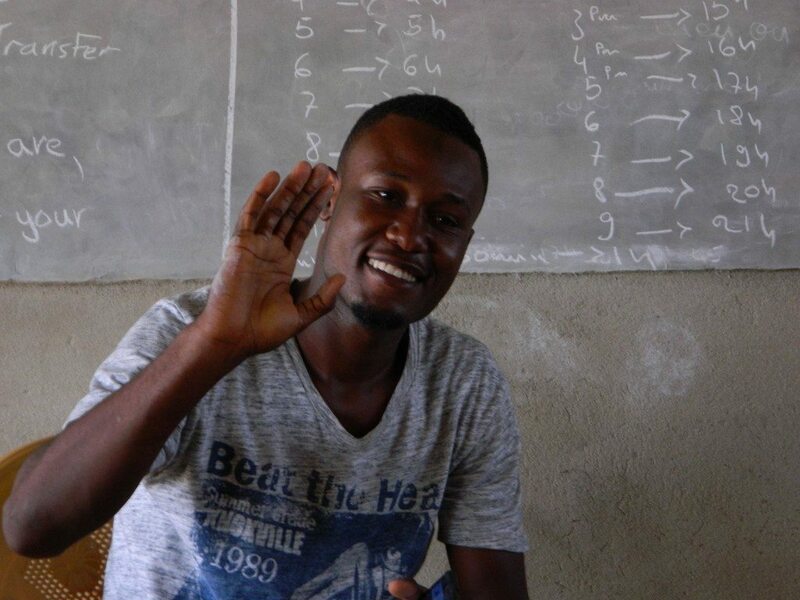 We have French lessons that are classroom style every Tuesday and Thursday with Joseph who has graduated from the University of Lomé. We are blessed to have him teach us. We really enjoy the time we have with him. 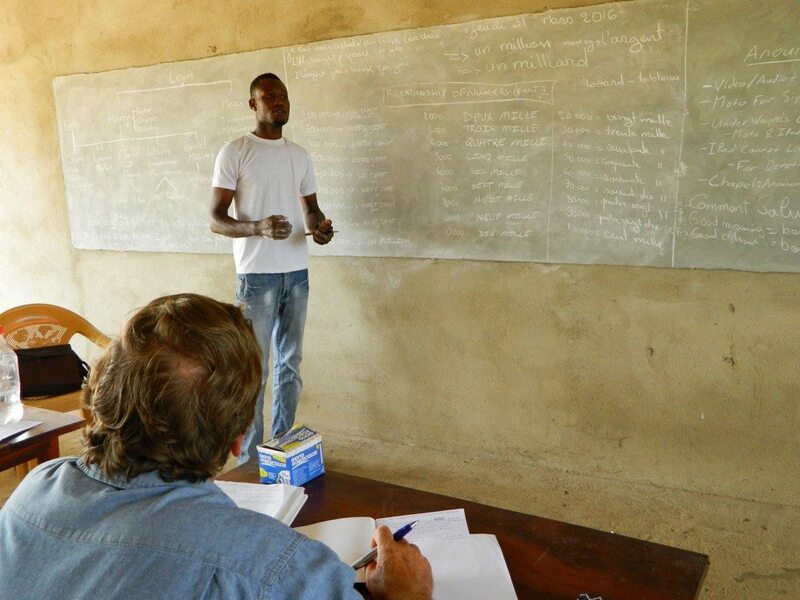 Not only are we learning conversational French but learning the grammar and writing of it as well as learning the customs, culture, and history of Togo. We received our packets of seed from America and are excited to say we are working to get them into tilled ground by next week. We are happy that God has sent the rain to soften the ground. Different team members have their own plots and the plot we chose has never been broken up so it was especially hard. Unfortunately, because of the way they do their rows, both Wayne and I could never do the back breaking work, so we hired some school age boys who come after school to do this BIG job. We are learning much about farming, as this community and region is mostly farmers. This city girl is now a farmer’s wife, who would have guessed? 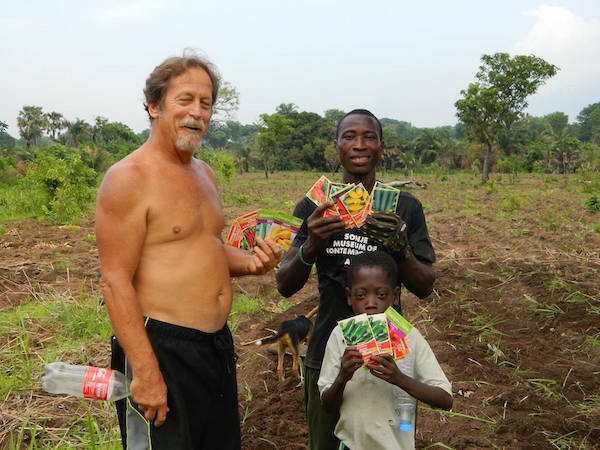 Wayne, Ishaka and Chris holding the seed packets that we are going to plant!!! We are so excited! 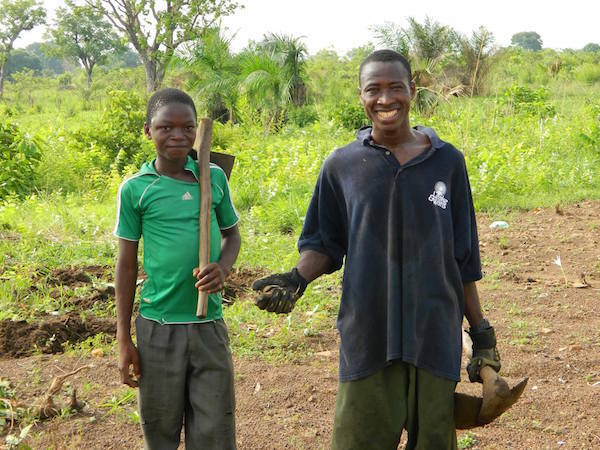 Our head farmer—Ishaka with one of the young boys who tilled up our plots!! We have all the plots behind them to plant!!! We’re planting corn tomorrow!!! We can’t wait for the harvest!! Our church is small and is only .02 miles from our farm. It’s a little Assemblies of God church and has about 50 members. We love their worship time and love to watch the children dance. The service is done in both Ewe and French and one of our team members translates to English for us. We have such a fireball of a pastor and this church loves to pray and has a passion for God, especially the younger kids. We were glad to have a part in helping to finish their concrete floor this week inside of their building. We hauled all the water for the man who was going to do the floor, otherwise the children would be responsible to haul it up in buckets after school from the well. They hold one of their Sunday School classes outside and we do the one inside for adults! Our whole team has been battling what seems to be Malaria. We are starting to recover, but we are still weak and wiped out. Please pray for healing for us and the rest of the team. We want to thank all of our family, church body and donors for making this possible. God’s adventure is slowly unwrapping before us. It is a privilege to serve this community and team! Thank you for all the cards, pictures, and gifts that was sent to us. We truly appreciated the time, effort, and cost in doing this for us!!! We miss you all so much and our previous lifestyle in American is fading so quickly but we will never forget you guys!!! The pace of Africa is SLO-MO here if I can describe that for you. We will try to explain that in many ways in the months to come. We are praying for you. We certainly can feel the prayers from home!!! Most of our patients are accompanied by a family member or loved one. Naturally, we assumed that the man who brought Nakai was her husband or brother. We were surprised to hear that he was not. 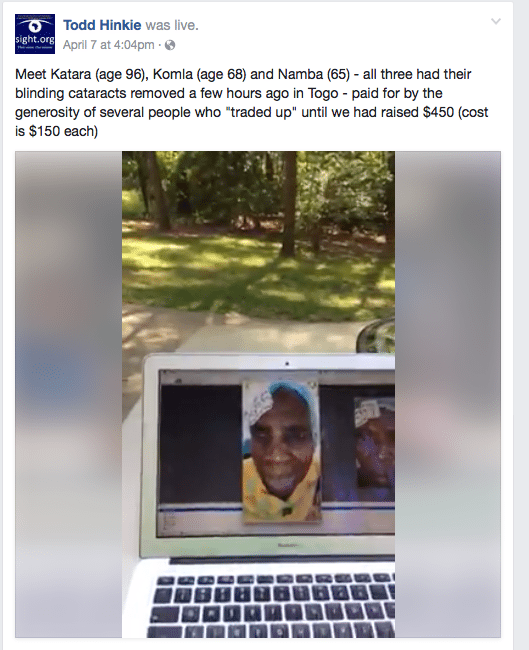 Nakai is an 80-year-old widow who has requested eye surgery three times and has been turned away each time for various medical reasons. We praise the Lord that she was stubborn enough to keep coming. This last time Laurie, our medical director, knew in her spirit that she had to do Nakai’s surgery. 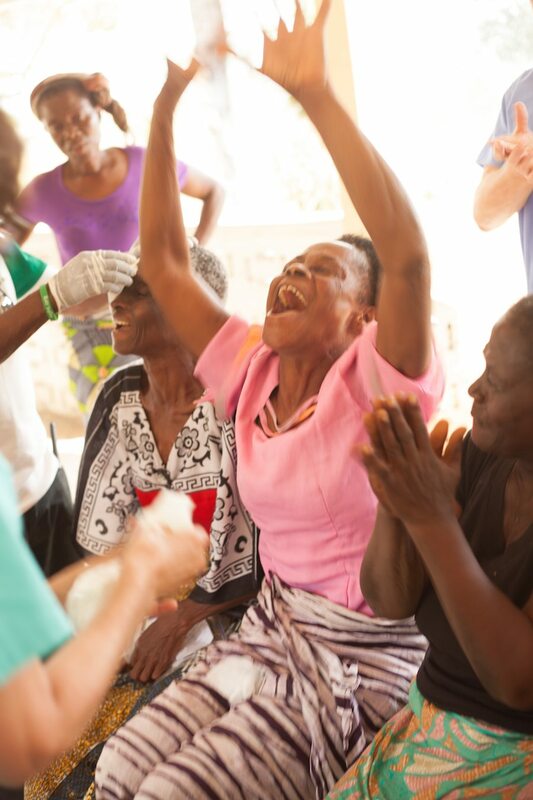 There were still some setbacks to her surgery, so Laurie asked the mission team to pray over her. Nakai had already lost one eye completely and was blind in the second eye due to an eye infection. To give you a picture of how blind she was, at one point while she was waiting on her surgery, Nakai dropped her scarf and could not even figure out where it had gone. The man who brought her was very nice, but we could all tell that they did not know each other well. We knew that she had traveled a long way for the surgery, so we were curious as to what kind of man would bring her that far if he did not know her. We found out that he was just a man at her church. God led him to bring her to us. He knew that Nakai’s daughter-in-law was taking care of her at home, but she was often left alone to sit in her blindness. God used this servant-hearted man to change Nakai’s life. He waited all day in the hot sun for Nakai’s surgery. He led her away by the hand and helped her get comfortable for the long night ahead, as she waited for us to take her bandages off. We all watched with awe, as he selflessly cared for her over the entire 24 hours. The next day, as her bandages came off and she could see again, he smiled with her, he cried with her, he laughed with her. He was a true picture of the Church. 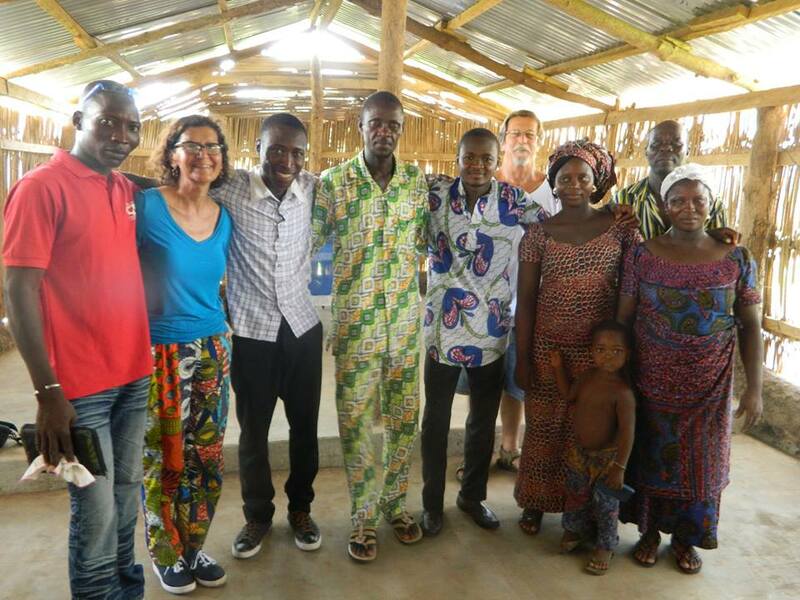 I just returned from an incredible 6-week trip in Togo, Africa that I am excited to share. So much happened that it’s hard to know where to begin, so I’m going to try to summarize my experience and spare you from a 20-page letter. We officially moved the team to our permanent headquarters on our 20-acre farm, we had 75 surgeries performed in our new ambulance donated by ETMC Regional Health Center, two new missionaries joined our team to volunteer for a year, and a new friend of mine became a convert to Christianity. God is always working on my heart during these trips, and it’s always so much to take in. It’s such a blessing to see so many lives impact in such powerful ways. 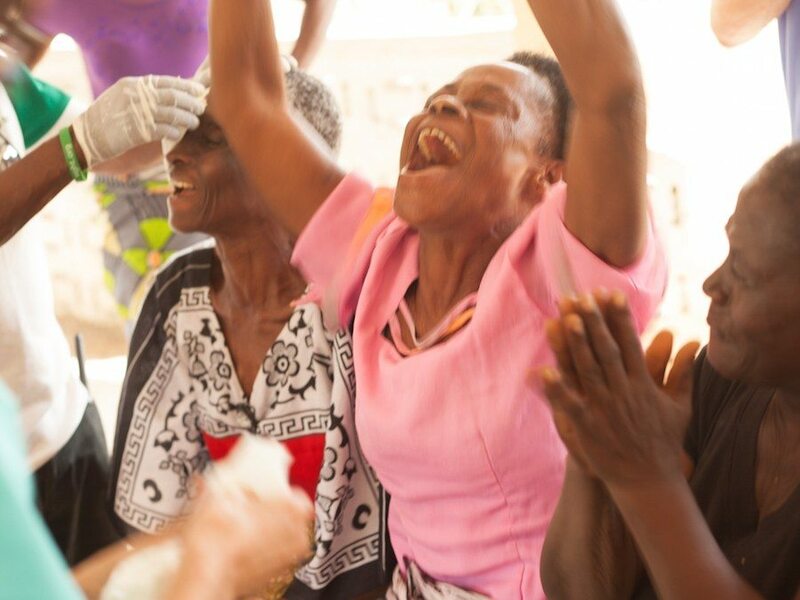 Some of the people we serve are receiving their sight after a decade of blindness, like a 17-year-old boy who had been blind since he was 7 (and who also gave his life to Christ). While others, seemingly neglected by the world around them, are simply longing for someone to care for them. For the most part, I’m always traveling solo on my flights to Africa, but that was not the case this time. My wife, Naomi, my Communications Director, Beth Reed, two ministers, Larry and Linda Payne, and two missionaries, Wayne and Elaine Riley, all joined me on this adventure. 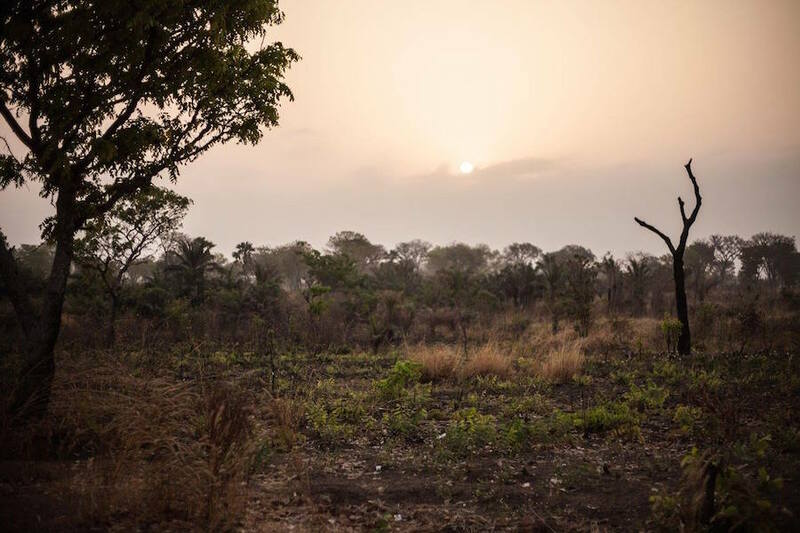 The trip began with us moving from our old headquarters in the capital city of Togo to our new headquarters three hours north. This new headquarters is geographically central to our region of eye care, making all of our areas of operation a couple of hours within reach. This new move brings down many of the costs and hours spent on the road on a weekly basis. Our new headquarters is also a beautiful 20-acre farm with lot’s of things to do and with many wonderful people that come through to greet us on a daily basis. It’s incredibly lush throughout most of the year, and has become our new oasis. While heading out for our first medical mission, I had the pleasure of riding in the back of our new ambulance. It was the first time for me to see our new mobile eye clinic in action. Our mobile clinic, which is a modified ambulance donated by ETMC, has made a world of a difference in how we perform surgeries. 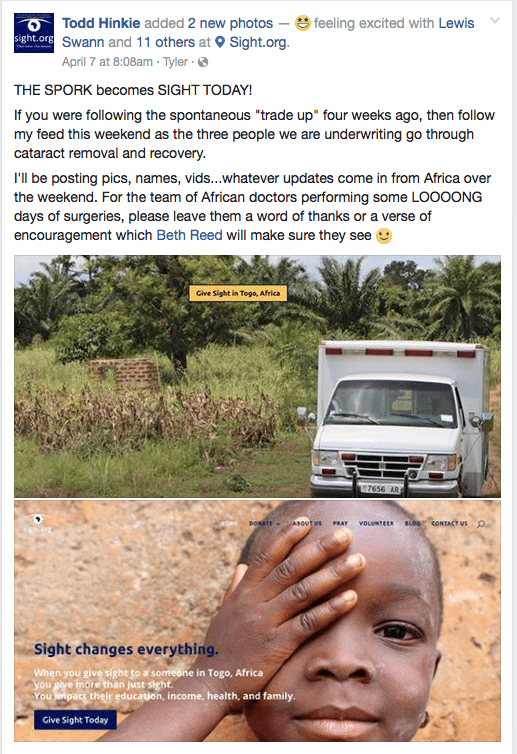 With our team going to the poorest and most remote parts of Africa to perform eye surgeries, each outreach has been a logistic nightmare. 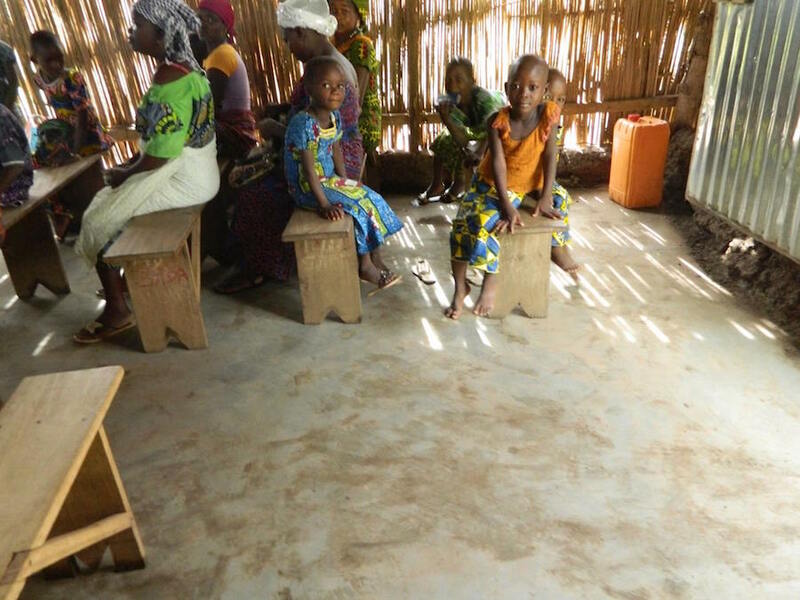 Previously, we had to create makeshift surgical rooms in dilapidated bat infested clinics, and it would take a couple of days to prep the rooms before we had a sterile environment suitable for surgery. This ambulance brought this two-day logistic nightmare down to a two-hour breeze. With this ambulance, we’re able to drive into some of the most rural parts of Africa, and within two hours we are ready to perform surgeries in a sterile air-conditioned environment. 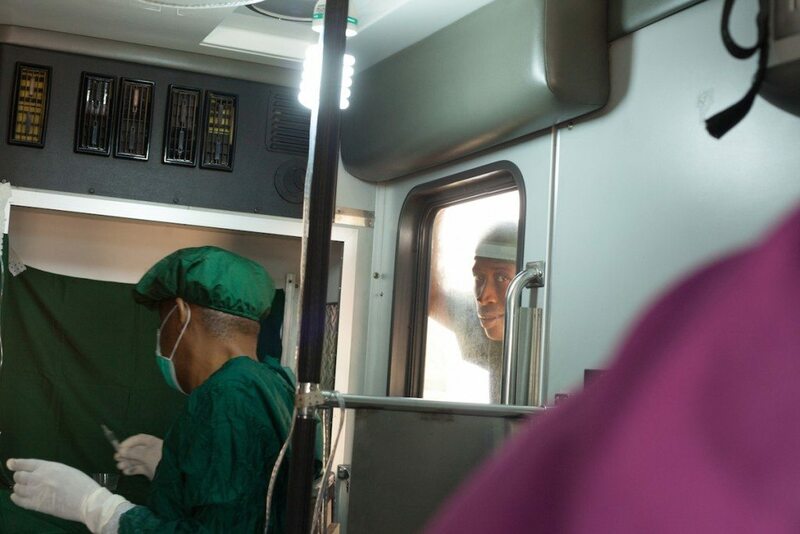 Watching the surgeries performed in the ambulance was a dream come true. 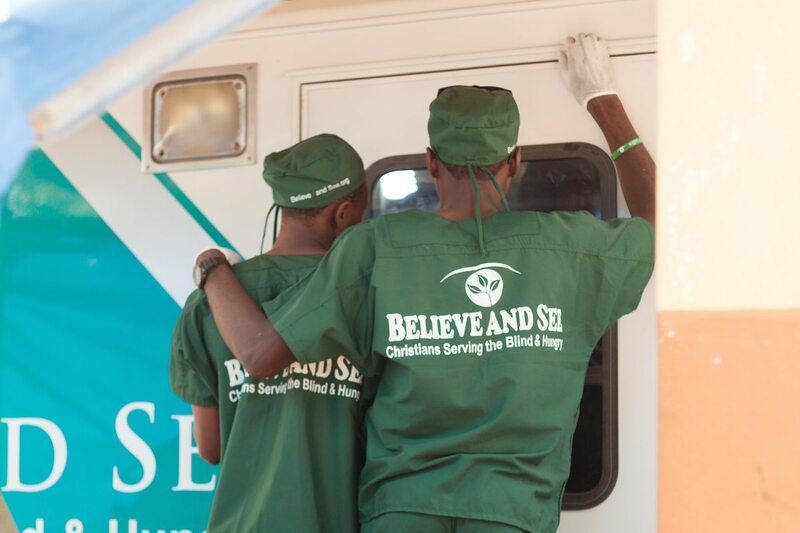 The ambulance was so practical for performing eye surgeries that it seemed as if it wasn’t designed for anything else; and there were no fears of bats flying over our heads either! 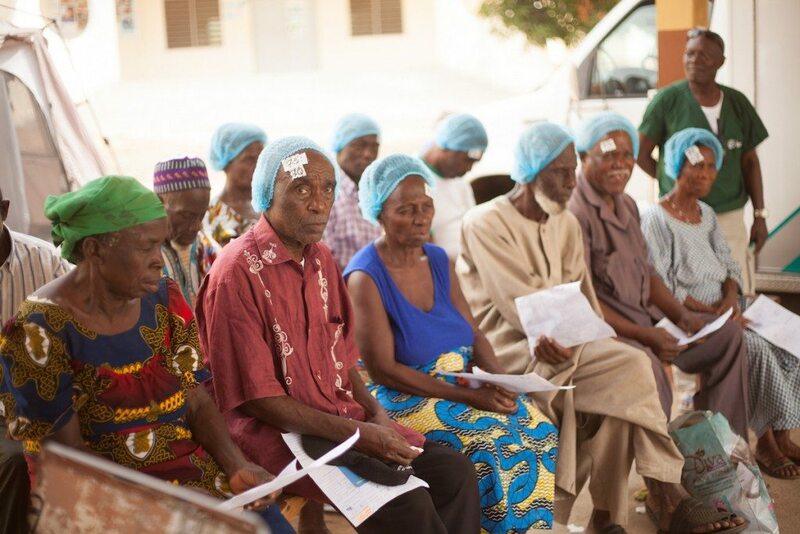 If I were to receive an eye surgery in Togo, Africa, this is where I would want to be. 75 surgeries were performed in the short time I was with our team, and all of them were a success. 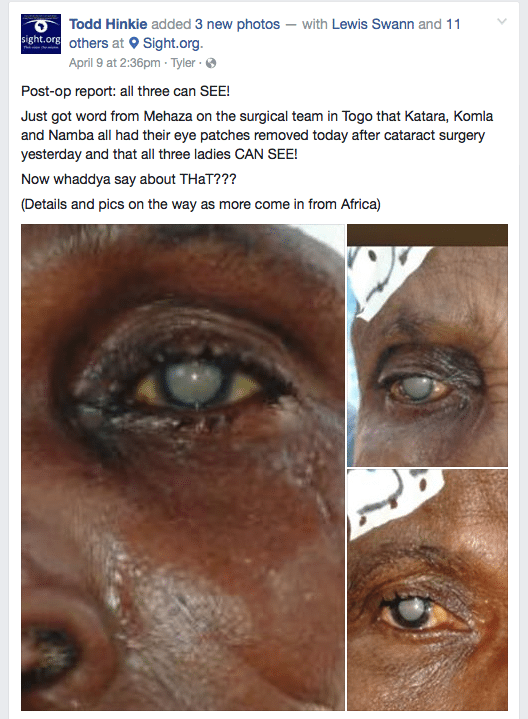 Their eye patches are removed the following morning, and at that moment, they could see! Rejoicing, hallelujahs, and songs of glorifying God often follow. I would compare their expressions to someone who is being released from a dark dungeon… and in some ways, that’s exactly what’s happening. 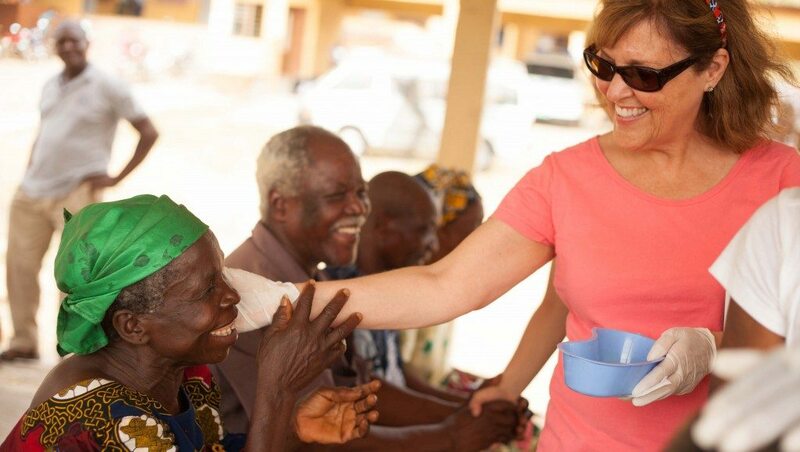 Witnessing people receive their sight was such a joy, but a greater joy was the people whom I had the honor to serve alongside of. The level of sacrifice and passion in the hearts of our team is simply mind-blowing. Our team of volunteers and employees are made up of 7 nationalities and many live far from home and family in order to serve. 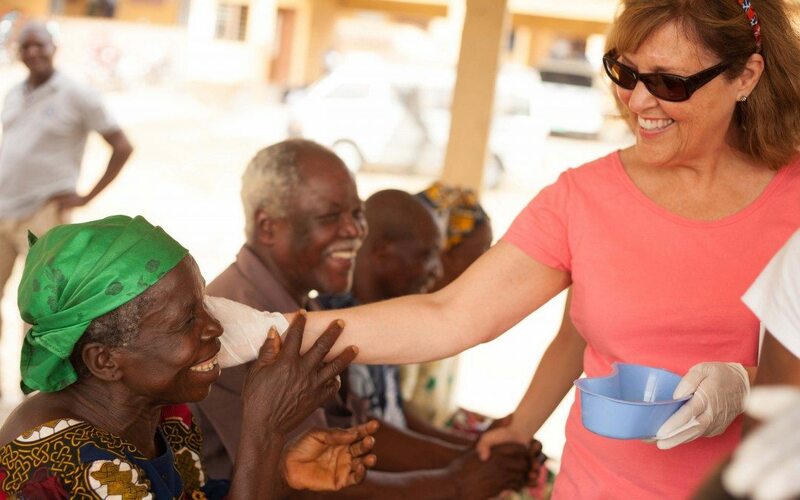 For 4 days out of each week, this team travels to some of the poorest and most remote parts of Togo in order to share the good news of Christ while extending Christ’s healing hand to the blind. So many lives are touched by this group, and through them, many are coming to know Christ. The time I spent with this group of people is invaluable to me. A few of the team members were separated from their family during brutal war back when they we children, yet they are so grateful for how faithful God has been in their lives. One may stay up praying until 2 am, while another wakes up to begin his prayers at 4 am. 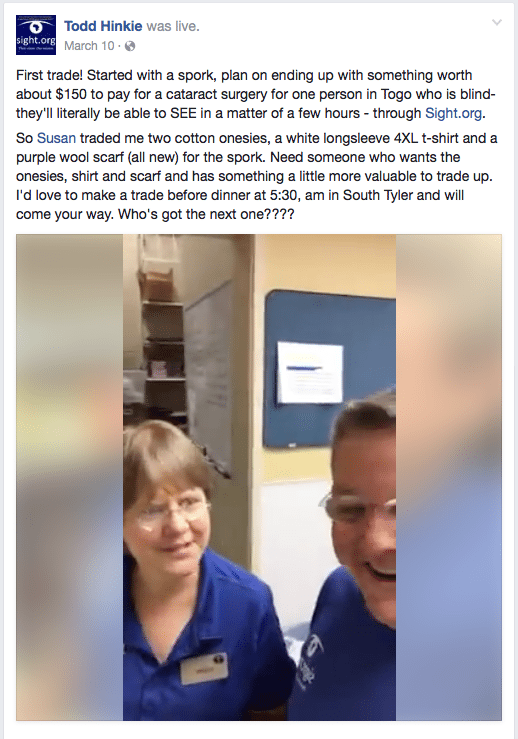 Each has a wonderful personality and all of our team members bring something unique to the team. I always have a spiritual boost when I visit the team in Africa, and often it’s because I’m seeing the size of our challenges face to face. What this team has already accomplished in such a short period of time is nothing less than extraordinary, and we can only thank God for that. Thank you for taking the time to read this letter. There are some amazing stories and experiences that I will send in future letters, as they are worthy of being stories of their own. We are enabled by donors and empowered by prayers. 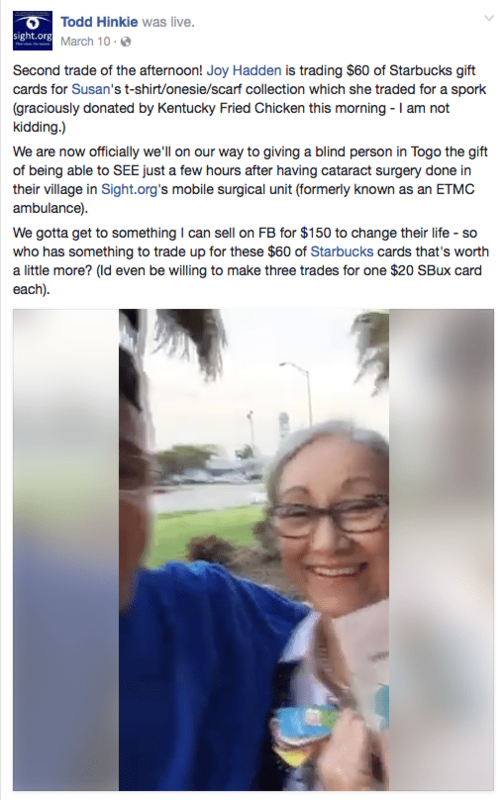 Giving the gift of sight and the gospel costs $150. 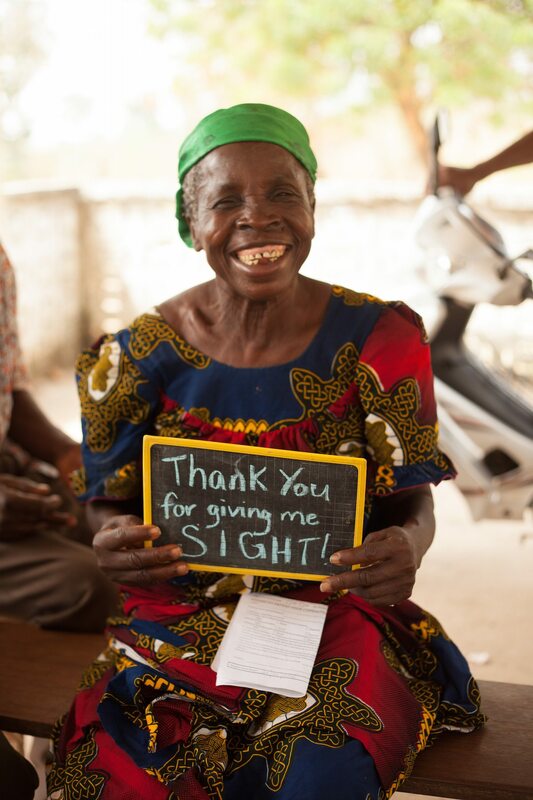 Also, you can give $12.50—monthly at Sight.org/donate to restore a person’s sight each year. Join us in prayer at Sight.org/pray.